Rachel Ogawa continues our excellence in desktop publishing by capturing the top provincial award. 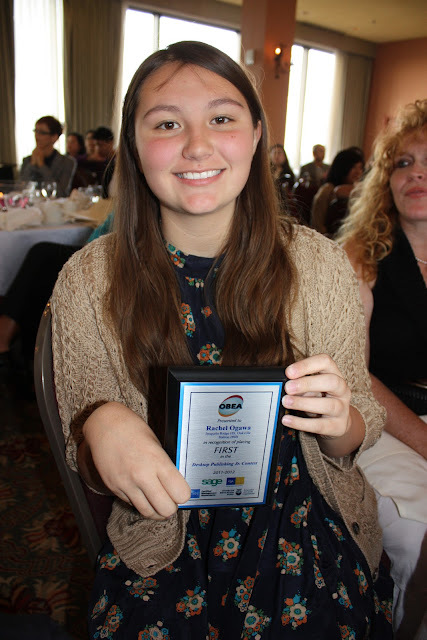 She is pictured below at the recent OBEA Awards Banquet. Congratulations also to her teacher Mrs. Omeri.